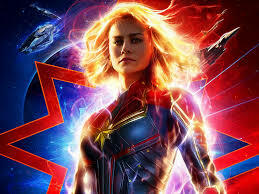 Captain Marvel, the first movie in the Marvel Cinematic Universe with a female superhero in the lead role, isn't exactly a bad movie. In a way it's something worse: a disappointing, instantly unmemorable mediocrity—a by-the-numbers superhero movie that could, and should, have been so much better. To understand why Captain Marvel represents such a missed opportunity, consider last year's best superhero movie: Spider-Man: Into the Spider-Verse. Built around an alternate-universe, mixed-race Spider-Man named Miles Morales who encounters a slew of other Spider-Men and Spider-Women, the movie cleverly reimagined the Spider-Man mythos as a parable of power, identity, and heroic responsibility.